It was supposed to be a Mercedes. In John Hughes' original script for Ferris Bueller's Day Off, the direction reads, "The door goes up and light streams in to reveal Cameron and Ferris looking at a Mercedes AMG." That's right. The car, whose only competition for "Most Iconic Eighties Movie Car" is the Doc Brown DeLorean, was supposed to wear a three-pointed star. Which AMG, exactly, was never specified, but I'd imagine that with the script finalized in late 1982 or early 1983, it was probably the epic and recently departed 450SEL 6.9. 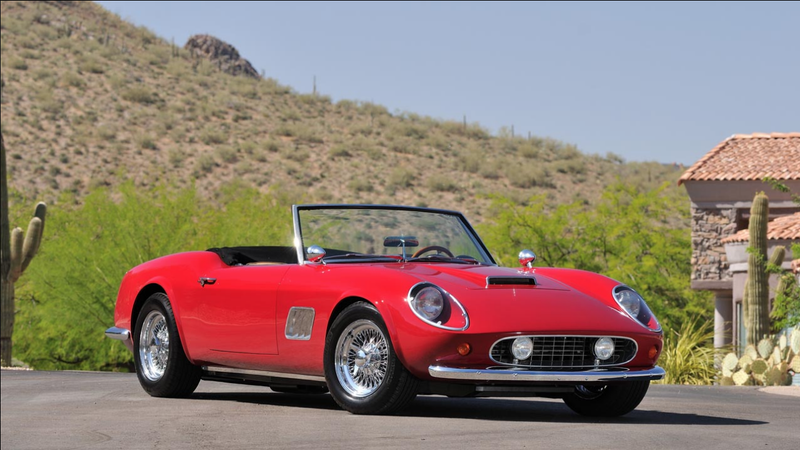 But that was before someone from the production company saw a photo of a Modena Spider, a high-quality 250GT SWB California Spyder-inspired replica. Paramount liked the car they saw so much that they leased one from Modena Design partners Mark Goyette and Neil Glassmoyer, and bought two more. The original Ford 289-powered prototype they got worked fine. Neil and Mark sold Paramount two as CKDs, but the studio apparently never really got around to turning them into working cars. Or so I thought. Here's the full story.